Syrian state media claims Israeli aircraft attacked research center northwest of Damascus. Syrian state media said early on Wednesday that the country's air defenses had responded to what was described as “a new Israeli aggression” in the countryside around Damascus, reported Reuters. According to the reports, an Israeli airstrike targeted a research center in Jamraya, located northwest of Damascus. Alikhbaria state TV did not provide any further details. Israel is not commenting on the report. Last month, Syria claimed that Israeli Air Force fighters had struck a Syrian army weapons depot outside of Damascus. Syria subsequently filed a complaint with the UN against what it called Israel’s “aggressive attitude”, warning that Israel’s actions will lead to a regional “conflagration” and complicate matters in the Middle East. “Israel’s aggressive attitude will lead to a regional conflagration and further exacerbate the situation. This is in order to support terror and perpetuate the occupation of Arab lands,” read the letter that was delivered to UN Secretary-General Antonio Guterres and the chairman of the Security Council. In December, Syria claimed Israeli aircraft fired several missiles at a regime military facility south of Damascus. 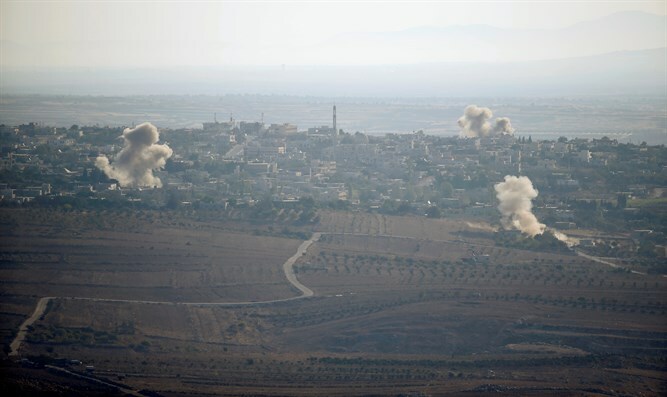 A month earlier, Arab media reported that Israel attacked an arms factory in the rural areas south of the Syrian city of Homs.